The owner of pupusa staple Balompié Cafe has begun a construction project on 17th Street that will include housing and a ground-level restaurant. 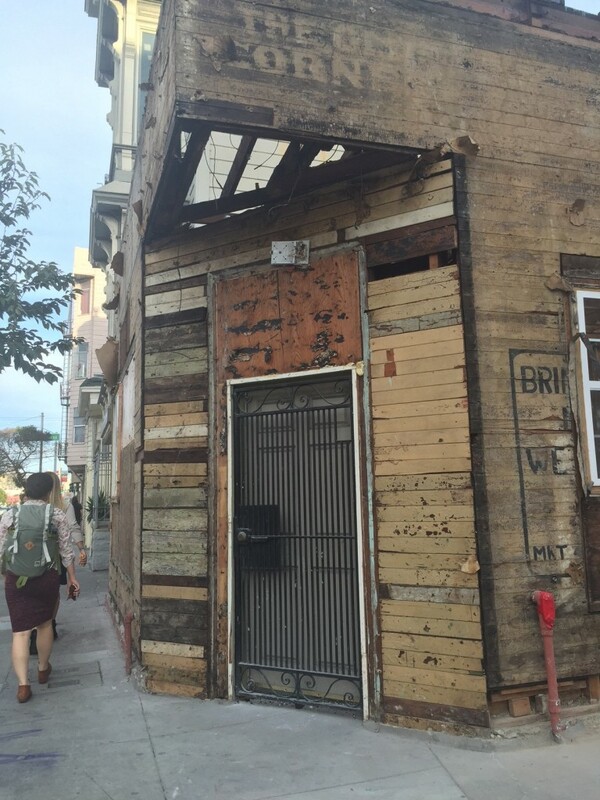 Work began earlier this week on 3249 17th St., a squat, formerly residential building that also extends along Capp. According to city planning and building department records, the plan is to add three additional levels with three residential units to the current one-story building and build a 1,996 sq. ft. restaurant. As of Wednesday night, construction crews had torn off the exterior siding off the previously salmon-colored building and taken the inside down to the studs. 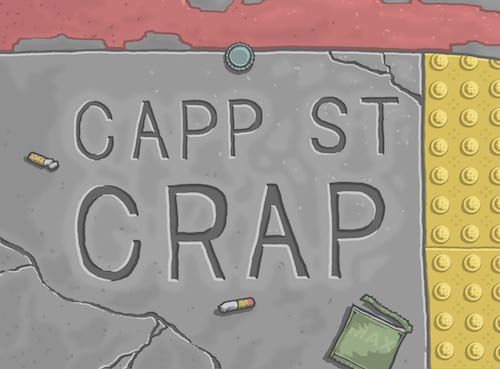 The spot is rumored to be the new site for Balompié’s Mission District cafe, now at 18th and Capp streets, but Capp Street Crap was unable to confirm that. A message was left yesterday with owner Amadeo Gonzalez Figueroa’s wife, who said her husband would have to answer any questions about the project. As of this morning, he had not returned the call. The building that currently houses Balompié, at 3345 18th St., was sold last fall. This entry was posted in food, Housing, news and tagged in Balompie, capp street, pupusas.